Invitation rounds for a Skilled Independent (subclass 189) visa and Skilled Regional (Provisional) (subclass 489) visa will be conducted once a month. Rounds of Invitation are expected to run on the 11th day of every month. Dates for the rounds are subjected to modify. Invitation numbers in every round may change depending on the applications number being processed by the Home Affairs department. Note: Territory or State government nominations for Skilled Regional (Provisional) (subclass 489) visas will not be affected. The table following shows the issued number of invitations in the SkillSelect invitation round held on 11 Dec 2018. The biggest ranked clients by points score are requested to apply for the appropriate visa. 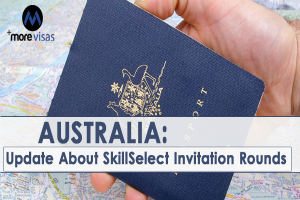 For applicants who have the same points scores, the time at which they attained their points score for that subclass visa (referred to as the effective date) defines their order of invitation. Expressions of Interest with prior effective date are invited prior to later dates.